Over the years, medical professionals have used Valium on alcoholics to ease their withdrawal symptoms. It is hailed for its calming effects, thus enabling alcoholics to achieve their sobriety by providing them with calming effects. The interaction between Valium and drinking disorders has allowed millions of people to achieve their sobriety and lead fruitful lives. People researching on how to detox from alcohol have stumbled upon Valium as an option. 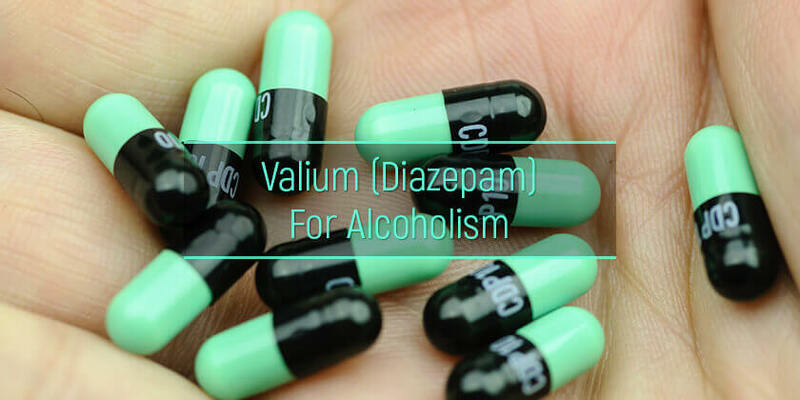 However, as much as Diazepam is a wonder drug in matters relating to alcoholism, it is always essential to understand how Valium and alcohol works, its effects, and how to use it. This way, one can take the right decisions regarding the drug for a successful recovery from alcoholism. How does valium work for alcoholism treatment? Is diazepam effective for alcoholism? What are valium side effects in the absence of alcohol? How to use valium for alcoholism properly? What are valium regimens for alcoholism treatment? Valium is also known as Diazepam. It belongs to the benzodiazepine family, a group of psychoactive drugs known for their sedation qualities. Diazepam’s first patent was filed in 1959 by Hoffman-La Roche and had seen more than 2 billion tablets sold by 1978. Currently, there are more than 500 brands of the drug in the market. Diazepam has been used for treating alcohol dependence in alcoholics. Alcoholism weighs down on the brain such that the neurotransmitters are rewired and the body cannot function without alcohol. This causes severe withdrawal symptoms which can cause harm to the affected party. The positive effects of diazepam and alcohol allow the body to relax and the patient to ultimately recover from alcoholism. Ever since Diazepam was first introduced to the market in the 1950s, doctors have been using valium for alcohol withdrawal symptom cases. According to the World Health Organization (WHO), diazepam is one of the safest and most effective drugs in the market. This has seen an uptake of diazepam for alcohol withdrawal by the millions. As of 2011, the Drug Enforcement Agency (DEA) reported 15 million subscriptions of the drug. Valium is not just an over the counter medication to stop drinking alcohol. Like most drugs, diazepine in itself presents several side effects to its users whether they are using it for alcoholism medication or not. It is also important to note that abuse of Valium can cause a lot of harmful effects on users. 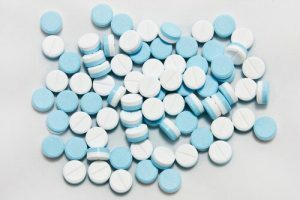 The DEA has reported more than 300, 000 ER visits from benzodiazepine abuse between 2010 and 2019, and more than 20 million cases of abuse from individuals from 12 years and above. Under the right use, Valium for alcohol detox presents many great benefits. There are, however, ways to ensure that Valium is taken correctly. Only a certified doctor should prescribe diazepam. A doctor is better able to understand what the patient needs and the right valium dose for alcohol withdrawal. The dosages prescribed should always be followed to the letter. Any variation from the prescribed dosage can cause some unwanted effects such as resistance. It can also prevent the drug from working as it is supposed to. Diazepam can be taken with or without food. This will, however, be better communicated by the doctor who will have created an effective valium alcohol withdrawal protocol. Concentrated solutions of diazepam should be diluted and taken immediately. Do not dilute a dosage to take later. Valium should not be mixed with alcohol. This goes for all kinds of medications prescribed by the doctor such as Antabuse medication to help keep a patient from using alcohol. Mixing valium and alcohol can lead to fatal consequences. In some instances, sudden withdrawal from the drug can be expected, especially when the dosage is stopped. A doctor will usually wean the patient off valium by reducing the dosage until they can live without it. On should, however, always makes sure to seek medical advice in such instances. Do not mix Valium with drugs such as cough medications that might contain alcohol. Mixing alcohol and valium can cause some unwanted effects. Doctors might, however, decide to combine the drug with other forms of drugs such as the acamprosate moa for better results. This should only be done by a doctor. Patients with co-morbidity such as COPD, pneumonia, cerebrovascular disease, reduced GCS, head injuries or patients who are above 70 years of age. Ths regiment is administered to patients who can be considered dangerous and aggressive. It is essential to understand that all these regimens should be administered from a rehabilitation center for alcoholics or residential facilities where care can be administered around the clock and by qualified professionals. There are other regimens from other groups of benzodiazepines such as Librium for alcoholism. While Diazepam has enjoyed full success in its benefits and usage, the drug has also attracted its share of criticism. This has even seen some suggest new ways to fight alcohol addiction such as using Topamax as a combination of Topamax and drinking does not have such severe effects on the user as would happen with mixing diazepam with alcohol. Long term memory impairment and amnesia. Studies suggest that using valium could lead to the loss of memory in its users. Benzodiazepines such as Valium have been suspected of causing an increased risk in pregnancies causing newborns to be born with defects such a cleft palate. The newborns might also experience some withdrawal symptoms. This might make it challenging to treat expectant others trying to get sober. A typical use of Valium has also been linked to causing some adverse social effects. Addiction to Valium can happen where an alcoholic drops alcohol for Valium or starts using both alcohol and Valium. Alcohol addiction is not a manageable disease to deal with. Nevertheless, there exist different forms of medications to help fight alcoholism. Drugs such as naltrexone for alcohol abuse can help suppress the euphoria that comes with taking alcohol, but one would still need Valium to handle serve withdrawal symptoms. Therefore, it is always essential to make sure that whenever one is using Valium as one of the alcohol treatment options to help handle the withdrawal effects associated with abstinence from alcohol, they should talk to a certified professional, who clearly understands how to taper off alcohol using valium, for the best results.